New Orleans has a special place in my heart. Meat heavy dishes though? Not so much. 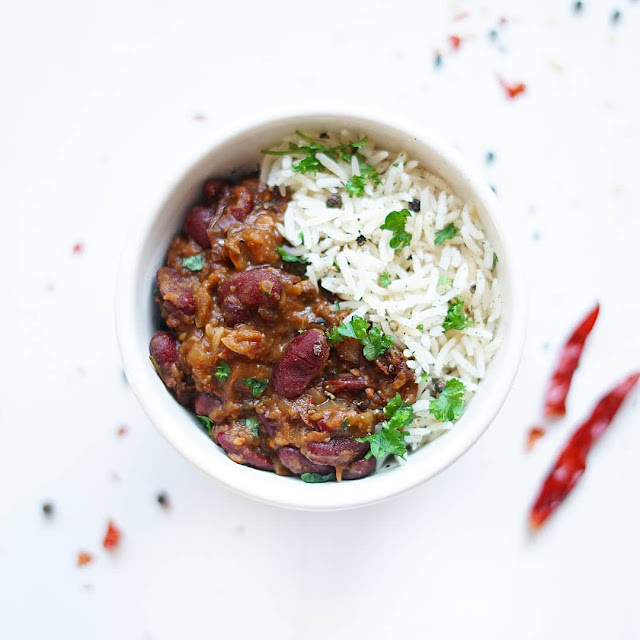 I have been cooking up some meatless (or even veganized) versions of NOLA food for a while now, and this red beans and rice dish is definitely the top of the top. Like, possibly even better than the ones we ate in the deep south. Ok, no, I'm gonna go ahead and say it - these vegan creole red beans ARE better than the real thing. The best part is that it's mostly hands-off. A few simple ingredients followed by a long simmer on the stove. Absolutely worth the wait. Traditional Louisiana red beans and rice recipes use sausage, which has a smoky, spice-laced flavour. 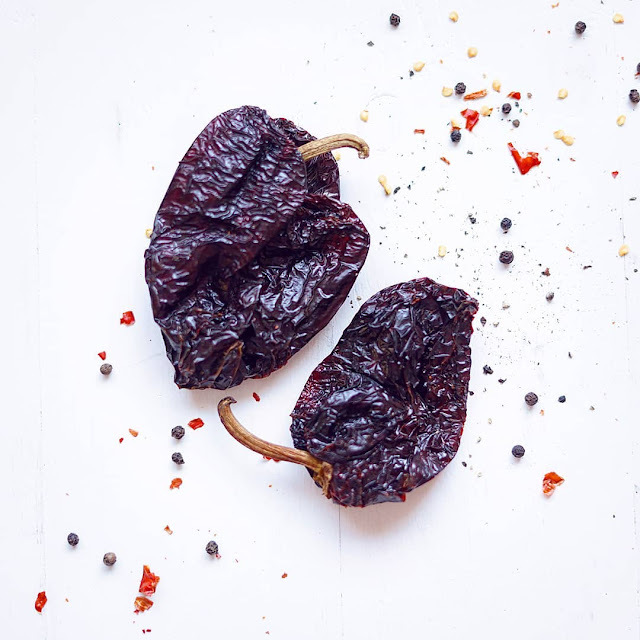 I am NOT a fan of vegetarian or vegan sausage substitutes, so instead, I recreated the flavour beautifully with a few simple ingredients: smoked paprika, a pinch of anise seed & a little bit of liquid smoke. These few key ingredients elevate the dish from simple to awesome. Pro prep tip: I always keep a bunch of chopped onion on hand - in my freezer! I cut it into a medium dice and freeze in a large freezer Ziplock style bag, ready for using as needed in any cooked dishes. 2 cups cooked white rice, for serving. Melt butter or oil. Add onion once pan is hot. It should sizzle! Reduce heat to medium and cook onion, stirring intermittently, until slightly browned. Add beans and spices, stir. Add vinegar, smoke & water. Add salt & parsley. Cover and simmer for 30 minutes on low heat. Uncover, stir, and mash a few beans against the side of the pot with the back of a spoon, or with an immersion blender. Cover and simmer another 30 mins. Garnish with more parsley if desired. Beans reheat well if you have leftovers. Can be stored in the fridge up to 5 days, or in the freezer up to 3 months. 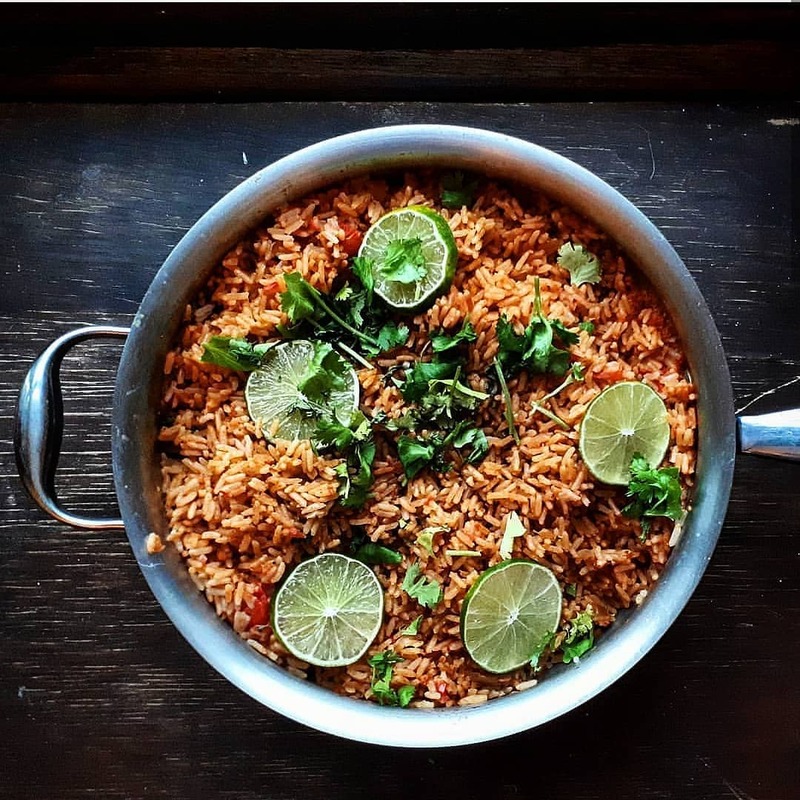 Spanish-style rice. Red rice. Tomato rice. Spicy rice. 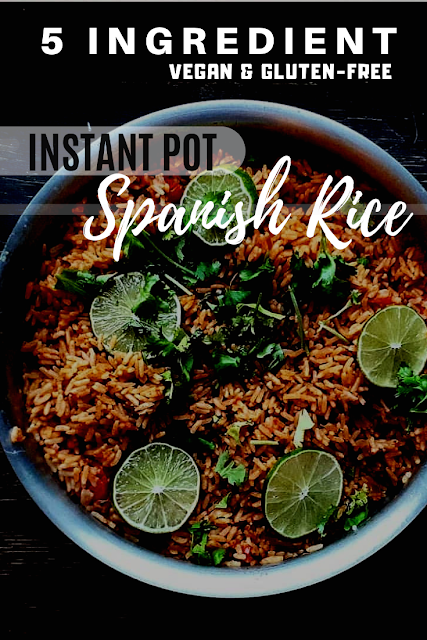 Whatever you call it - this really is my absolute favourite rice, and it's made in the Instant Pot (which is not actually called the InstaPot, as I only recently learned...) We've made this easy instant pot vegan Spanish style rice every week for the past couple of months and it's now a staple in our kitchen. The best part is how EASY and FAST it is. All in one, very little prep and very little cleanup. Only 5 ingredients plus water. This rice pairs very well with burritos, both as a filling or as a side dish. It also works nicely as a base for stir fry, stew or curry. Dice up an avocado, toss in some black beans and you've got yourself a full meal in a bowl. Garnish it with cilantro if you please, or leave it out if you don't ride on the cilantro bandwagon. Squeeze a bit of lime in for some tang, or add some chopped pickled jalapeno for a kick. The possibilities are endless. Ready in under 30 minutes, this rice is a game changer for easy weeknight meals. 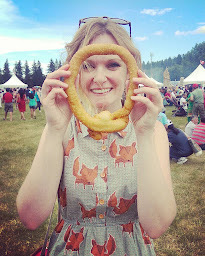 Also, like many of my recipes, it is naturally vegan! *If using another style of rice, please check cooking times on the Instant Pot website. Turn the sautée function on and add 1 tbsp. oil to pot. Allow to heat for 1 minute and add onion. Allow onion to cook, stirring occasionally, until it begins to brown lightly. Add 1 more tbsp. oil. Allow rice to toast for about 5 minutes, stirring occasionally, until fragrant and slightly brown. Add water, tomato juice and chili powder. Stir. Close and secure lid. Ensure the dial is in sealing position. Cancel the sautée and begin the pressure cook setting. Once it is done, shut off and allow a natural pressure release for about 15 minutes. Quick release if the pin has not fallen yet, open carefully and stir. Leftovers keep well in the frige for up to 5 days. The moment that I posted this vegetarian croquette recipe online, I had a flood of messages in my Instagram & Facebook inboxes, as well as comments on my post. I've heard you loud and clear: you WANT this recipe, and you want it NOW! Plan ahead - you'll need to set aside a couple of hours to roast and then cool the eggplant. This step can be done up to a day in advance. 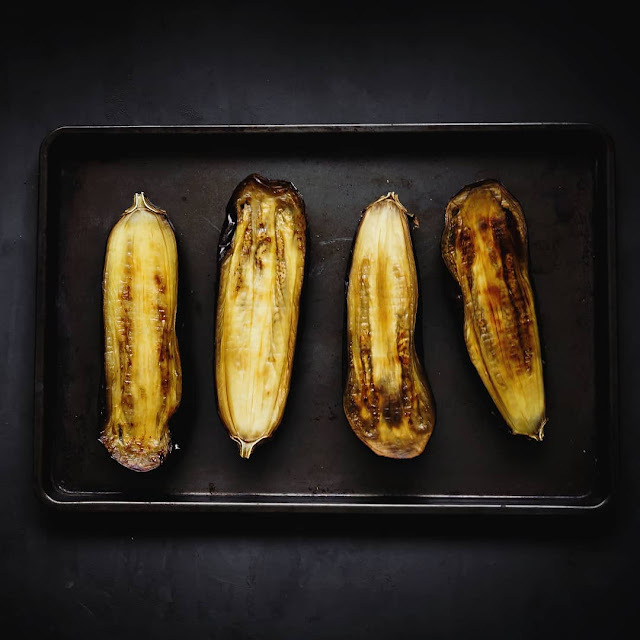 You can store the roasted eggplant in the fridge, covered, until ready to use. The best kitchen tools to use for these: Your hands! And, some kitchen shears (scissors). Seriously. Just make sure your nails are trimmed and your hands are washed. Your hands are your best tools. You'll also find an ice cream scoop handy to measure out your meatballs and ensure they're the same size. I LOVE these ones, use them for everything, including measuring cupcake batter to drop cookies. 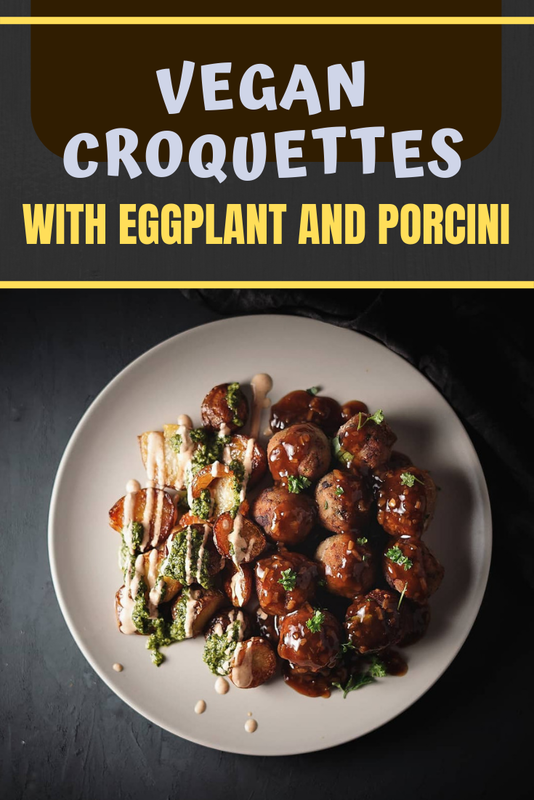 These mushroom and eggplant croquettes are a great vegetarian meatball substitute and would go lovely with a nice tomato sauce on top of spaghetti. Bonus: they contain no soy, and they are made without any other fake meat substitutes. 100% whole food croquette / meatless meatballs. Don't like eggplant? You don't taste it. Like, at all. 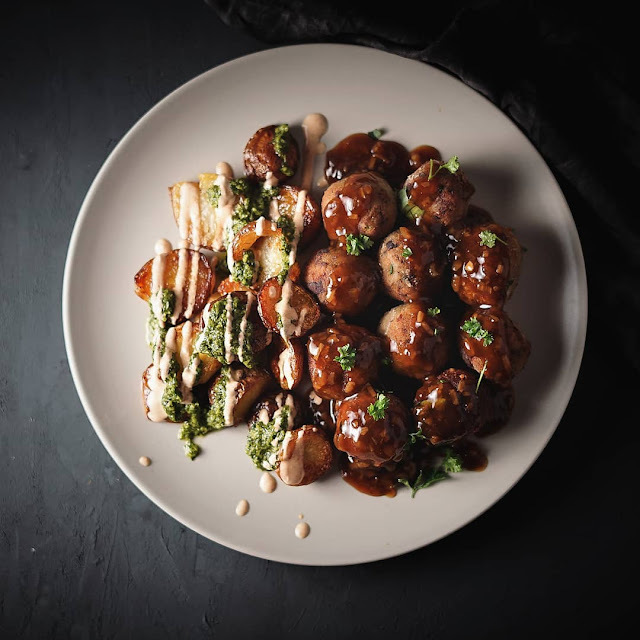 What it does do is give these some wonderful moisture that is often lacking in other veggie meatballs. This recipe makes about 36 to 40 mushroom and eggplant croquettes. Have leftovers? These freeze extremely well for future meal prep. Simply allow to cool to room temp, place on a baking tray lined with parchment, and freeze individually. Then, pop them into a freezer bag to use at a later date. When you're ready to re-heat, Heat from frozen at 350F for about 15 to 20 mins, until centers are hot. The flour truly helps these vegetarian meatballs form their crunchy crust. Don't skip this step! Ingredients are important: panko is different from other breadcrumbs as it helps the croquettes to crisp on the outside. You can find it in most large grocery chains, or in Asian grocery stores. Begin by roasting your eggplants: Cut in half lengthwise. Massage with good olive oil. Place face down on a parchment lined baking sheet. Bake in 375F oven for 1 hour. Remove from oven and allow to cool. Meanwhile, boil water. Place porcinis into large bowl and pour 2 cups of boiling water on top. Allow to sit until ready to use. Do NOT discard liquid. This is precious gold for your gravy. Scoop out eggplant flesh and combine with soaked porcinis. Use kitchen shears, as well as your hands, to break the mixture up into small pieces. Add garlic, eggs, herbs & spices. Mix well by hand. Add breadcrumbs and cheese. Mix once more. You should now have a very moist ground-beef like consistency. Prepare a large sheet pan with parchment, sprinkled with flour. Use your smallest ice cream scoop to measure out your croquettes, and use wet hands to roll them into balls. Place on tray until ready to cook. Use a fine mesh sieve to dust with flour. Now is the time to heat up your oil. Find the widest bottomed saucepan that you have and fill it about one inch deep with vegetable oil. I used my large Le Creuset dutch oven, as it has high walls that helped to prevent splatter on my stovetop. (See notes above about that!) Make sure your oil is nice and hot as this will help the balls to not stick, as well as to form a nice crust on the outside. Use tongs to place balls into the hot oil, careful not to splatter yourself - do not drop them too quickly! Cook for about 3 mins on each side, until brown. Remove and place on parchment-lined baking tray. You may want to keep these in a low oven (200F) to keep warm until ready to serve, or prepare ahead and reheat later. Combine 1/4 cup water and 2 tbsp. cornstarch until starch is dissolved into a milky consistency. On the stovetop, combine porcini water, tamari and dried onions, and bring to a boil. Once boiling, lower heat to medium and stream in the cornstarch water mixture, whisking constantly. Continue whisking until mixture begins to thicken, about 5 minutes. Serve hot croquettes with hot gravy and enjoy! Disclaimer: this post contains affiliate links. By clicking on them and making purchases through Amazon, you help support me & my blog, and I can continue to provide all of this original content at no extra cost to you. I am not paid to promote any specific items, and as always, I only share links for products that I truly use at home.